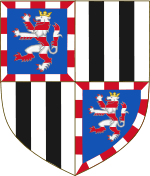 The Battenberg family was formally a morganatic branch of the House of Hesse-Darmstadt, rulers of the Grand Duchy of Hesse in Germany. The first member was Julia Hauke, whose brother-in-law Grand Duke Louis III of Hesse created her Countess of Battenberg with the style Illustrious Highness (H. Ill.H.) in 1851, at her morganatic marriage to Grand Duke Louis' brother Prince Alexander of Hesse and by Rhine, and elevated her title to Princess of Battenberg with the style Serene Highness (HSH) in 1858. The name "Battenberg" was last used by her youngest son, Prince Francis Joseph of Battenberg, who died childless in 1924. Most members of the family, residing in the United Kingdom, had renounced their German titles in 1917, due to rising anti-German sentiment among the British public during World War I, and changed their name to "Mountbatten", an anglicised version of Battenberg. The name Battenberg refers to the town Battenberg, Hesse. Prince Alexander (1823–1888) was the third son of Grand Duke Louis II of Hesse and by Rhine and of Wilhelmina of Baden, yet it was openly rumoured his biological father was actually Baron Augustus de Senarclens, his mother's chamberlain. His spouse, Julia Hauke (1825–1895), was a mere countess – the orphaned daughter of John Maurice von Hauke, a Polish nobleman who had been a general in the Russian army and then Deputy Minister of War of Congress Poland – and therefore of insufficient rank for her children to qualify for the succession to the throne of the Grand Duchy of Hesse. For this reason, her brother-in-law Grand Duke Louis III created the title of Countess of Battenberg (German: Gräfin von Battenberg) for her and for the couple's descendants (a previous family of counts of Battenberg had become extinct in the 14th century). 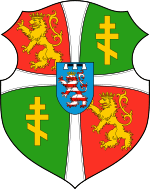 In 1858, the title, which referred to the town of Battenberg, Hesse, was elevated to princely status. 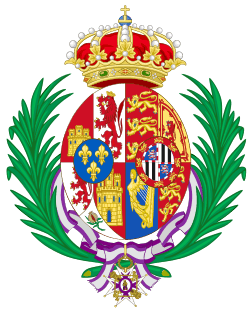 There was never a corresponding Principality of Battenberg; the title was a non-sovereign one in the nobility of the Grand Duchy of Hesse. 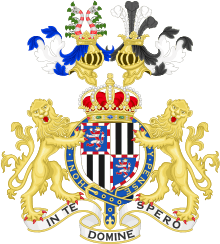 The children of this union bore the title of Prince (German: Prinz) or Princess (German: Prinzessin) and the style Serene Highness (German: Durchlaucht). Battenberg thus became the name of a morganatic cadet branch of the Grand Ducal family of Hesse, without right of succession. One of the original couple's sons, Prince Alexander of Battenberg, was made Sovereign Prince of Bulgaria; he was later forced to abdicate. Another son, Prince Henry of Battenberg, married Princess Beatrice, the youngest daughter of Queen Victoria; their daughter, Victoria Eugenia Julia Ena, became queen consort of Spain. Her uncle Edward VII elevated her style to Royal Highness, so that she would have the necessary status to marry into the Spanish royal house. Alexander and Julia's eldest son, Prince Louis of Battenberg, became the First Sea Lord of the Royal Navy. Due to anti-German feelings prevalent in Britain during World War I, he anglicised his name to Mountbatten, as did his children and nephews, the sons of Prince Henry and Princess Beatrice. 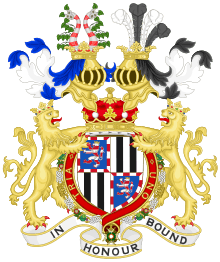 They renounced all German titles and were granted peerages by their cousin, George V: Prince Louis became the 1st Marquess of Milford Haven, while Prince Alexander, Prince Henry's eldest son, became the 1st Marquess of Carisbrooke. Prince Louis's second daughter Princess Louise of Battenberg become Queen Consort of Sweden as she married Gustaf VI Adolf of Sweden in 1923 and his younger son Louis Mountbatten, 1st Earl Mountbatten of Burma served as the last Viceroy of India. Prince Louis's elder daughter, Princess Alice of Battenberg, married Prince Andrew of Greece and Denmark; their son, Prince Philippos of Greece and Denmark (now Prince Philip, Duke of Edinburgh), married the heir presumptive of the British throne, later Elizabeth II, after having renounced his Greek titles and taken his maternal grandfather's and uncle's surname, Mountbatten. The name Battenberg, in its anglicised form, is now a part of the personal surname, Mountbatten-Windsor, of some members of the British Royal Family. Prince Francis Joseph of Battenberg married Princess Anna of Montenegro, sister of Queen Elena of Italy and a maternal aunt of Alexander I of Yugoslavia. Wikisource has the text of The New Student's Reference Work article about the Battenberg family.